Why the need for Jesus to UPBRAID people if God’s will always happens? Why UPBRAID someone who possesses no ability to disobey you? Matt. 11:19 The Son of man came eating and drinking, and they say, Behold a man gluttonous, and a winebibber, a friend of publicans and sinners. But wisdom is justified of her children.20 Then began he to upbraid the cities wherein most of his mighty works were done, because they repented not:21 Woe unto thee, Chorazin! woe unto thee, Bethsaida! for if the mighty works, which were done in you, had been done in Tyre and Sidon, they would have repented long ago in sackcloth and ashes.22 But I say unto you, It shall be more tolerable for Tyre and Sidon at the day of judgment, than for you.23 And thou, Capernaum, which art exalted unto heaven, shalt be brought down to hell: for if the mighty works, which have been done in thee, had been done in Sodom, it would have remained until this day.24 But I say unto you, That it shall be more tolerable for the land of Sodom in the day of judgment, than for thee. Above we can see a clear example of people and entire cities acting contrary to God’s will. Jesus upbraided people due to their refusal to repent! Jesus wanted them to repent and provided them ample opportunities to do so (showed them many miracles) and yet they chose not to. Sinning IS breaking the law, which means that sinning is acting against God’s will. This should be self-evident, but when it comes to our reformed friends, this is not always so. Calvinists normally have a problem with a God who is not sovereign in such a way that he predestines ALL things and ALL actions of men. Or else, they say, he is not sovereign. (”Sovereign” is not even a Biblical word in the KJV, so of course the term must be interpreted.) These verses suggest that things would have (and could have) turned out differently, if the people involved acted in a different way. This is evidence of that things do not take place because they are predestined by God. We can affect our future depending on our choices and actions, but why even pray if we can affect nothing? Mark. 16:9 Now when Jesus was risen early the first day of the week, he appeared first to Mary Magdalene, out of whom he had cast seven devils.10 And she went and told them that had been with him, as they mourned and wept.11 And they, when they had heard that he was alive, and had been seen of her, believed not.12 After that he appeared in another form unto two of them, as they walked, and went into the country.13 And they went and told it unto the residue: neither believed they them.14 Afterward he appeared unto the eleven as they sat at meat, and upbraided them with their unbelief and hardness of heart, because they believed not them which had seen him after he was risen. Above we can yet again see Jesus upbraiding people, and this time due to their refusal to believe the message about him and due to their hardened hearts. This means it certainly was not Jesus (as God) who hardened their hearts so that they could not believe, because then Jesus would not need to upbraid them. They had the choice to believe in the testimonies of those who had seen Jesus risen (as he told them he would), and they also had the chance to believe that Jesus was the one the Scriptures were telling them about, but they choice to harden their hearts. Matt. 27:44 The thieves also, which were crucified with him, cast the same in his teeth. Rom. 15:3 For even Christ pleased not himself; but, as it is written, The reproaches of them that reproached thee fell on me. The philosophy of Calvinism more important than GOD for Calvinists? Why is it so important for Calvinists to believe in Calvinism, and that God predestined people to be elect and non-elect before they were even born? Do they LIKE this story and the way it turns God out to be? Is it because Calvinism is taught in the Bible? Or is it because Calvinism COULD be taught in the Bible if we ignore certain verses and read other verses in a vacuum to make the text conform to Calvinism? MUST we read the Bible as though Calvinism is taught in it, or is it possible that we can get another outcome (more flattering to God) without having to ignore or twist any verses at all? I would of course vote for the latter. Below are the options as I see it, and the absolutely most negative aspect of Calvinism is that it makes God out to be the author of sin, turning him into a tyrant who prevents most people from being saved. Or maybe there is something even worse – namely the idea that he does this FOR HIS GLORY! The mere thought should make a Christian cringe. Note that I do not believe there are any Calvinists who are able to be consistent with their own doctrines, and consequently I do not believe they strictly believe what I write below. I believe they are way smarter than their own doctrines and that they more or less choose to be non-consistent Calvinists. Some try to be more consistent than others and openly admit that they believe God predestines even child molesters to commit their crimes, whereas others do all kind of gymnastics in order to avoid the absurd outcome that Calvinism demands. This alternative makes God responsible for our actions, including our sins. Bringing up the topic of compatibilism does not help, because we cannot make mutually exclusive ideas become true just by describing an invented process with fancy words. The idea is that nothing comes to pass against the will of God (at least if Westminster Confession of Faith is valid). Meaning that sin therefore (if we want to be consistent) happens according to his will. This God apparently also has at least two opposing wills, and one of his wills is attributed to his desire that get people to sin in order to accomplish his purposes. Since God is the author of sin, he is someone who sadly does not make sense and is therefore difficult to approach with a sincere heart. How is it possible to love someone above everything else, knowing that he has predestined most people to be wicked non-elect sinners before they were even born, and even gets so mad at them for being what he created them to be that he sends them to hell? Jesus did not die for everybody but only a select few, indicating that God never intended to offer salvation to all in the first place. A Calvinist has good reason to be boasting, considering that God chose them to be the bright wise stars in the world and not others. Ja. 1:13 must be ignored since it says that God does not tempt any man. Calvinists takes a step further since Calvinism teaches that God not only tempts people but makes them sin. Why Jesus had to die on the cross is a complete mystery is Calvinism is true. Could the elect not remain elect unless Jesus died on the cross? Did Jesus die because something went wrong? Something against God’s plans? Exactly what went wrong, and against God’s will? The word ”sovereign” is added to the Bible (in relation to KJV), which is not a problem per se, but the Calvinistic interpretation of this non-Biblical word is. By excluding the possibility that God could very well have created man with free will, this word must then by necessity mean that only God’s will could be in force on earth, leading yet again to that sin happens according to his will. Preaching and praying do not make any sense if Calvinism is true. The elect cannot perish, and the non-elect can never be saved. Must we do these things because God has told us to? What will then be the horrible outcome if we do not obey? Why all the fuss about sin, if Calvinism is true? If the idea is that nothing comes to pass against his will? This alternative makes MAN responsible for his own actions, which means that sin must be blamed on man and not on God. God does not want anyone to perish and there is much joy in heaven each time a person repents and can get his life restored. God’s sovereignty is not disturbed just because he chose to create man with free will and responsibility for his own actions. God does not have contradictory wills, and every single time a persons sins it is always against his will. Man sins according to his own will and against the will of God. This means that the God makes perfect sense when he constantly persuades people to avoid sin. God is holy and therefore disobedience separate us from him. We are created to seek him and find him (Acts. 17). Jesus died for everyone, showing his true love for every man. We are told to be merciful just like he is. We have no reason to be boasting about our salvation since we are 100% lost without God. We have no authority to forgive ourselves our own sins, but we are completely dependent on the mercy of God. He expects us to repent for our sins, and doing so is not ”boasting” since all has been given this ability. 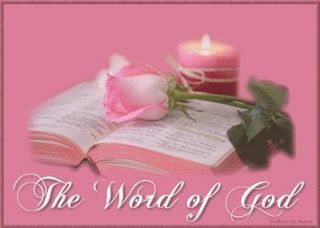 Freewillers totally trust the Biblical information that God does not tempt any man and does NOT make people sin. Jesus death on the cross makes perfect sense. Something went terribly wrong and against God’s plans (sin), and there is no forgiveness without sacrificed blood. God was not surprised that Adam and Eve disobeyed him since he created them with the ability to love/hate and obey/disobey, and naturally then disobedience was a possible outcome. This is why it also makes sense that God made sure to warn Adam and Eve ahead of time about sinning, telling them that sin produces death. He told them NOT to eat, and they ate. Hell is a place for disobedient people who have acted against God’s commandments. They had the opportunity to be sent to heaven but due to their pride and their choice to not be followers of God, they deserve hell. Freewillers do not believe anything is too difficult for God, which means he is capable of creating man with free will and making man responsible for his own actions. Preaching and praying make perfect sense, since by doing so we can make influences on the spiritual world and the outcome of things. Why is not the Freewill option above the better one, and the only option that saves us from having to blaspheme God by suggesting that he somehow orchestrates sin? I have spoken to many Calvinists and I sense that most of them do not even want the Freewill option to be true because then they would have to give up Calvinism. It seems like saving Calvinism is much more important than God himself. They have all chances in the world to study on apologetic sites that could help them overcome their Calvinistic hurdles and help them to see the Bible in a different light, but they decline. They prefer to stick with their Calvinistic teachers and books, and whenever they run into a contradiction they choose to go to such sources to see if there is a solution. They would not consider going to freewill sources, since their goal is to save Calvinism. Saving the character of God from being attacked is not important? It is as though they already have their mind made up. They might ask me if they same does not apply to me – maybe I have also made up my mind beforehand? OK, but does it not make more sense to start off checking those sources that save God from being a selfish tyrant, and where there are no mutually exclusive contradictions that I have to battle? people knowing that there would be people denying him. It would be a better alternative since it would place the responsibility and culpability with man and not on God. Knowing something is a possibility ahead of time is not the same thing as predestining it to take place. Instead of ”God made me do it”, a person must face the consequences for his own choices. Even if it is not a perfect example, I often compare it with a Christian parent living in a secular country (much like my own) and where she/he ”knows” that not all of his/her children will grow up to be believers, or even good respectful citizens, due to the agnostic/atheistic propaganda taught in school, among friends, in the media, and everywhere. Even if the Bible would be taught at home, and even if the parents would spend a lot of time encouraging their children to maintain their Christian faith, it is also close to a certainty that not all their children will make the better choice. So would the parent therefore decide to not have any children at all due to this sad reality? I have not met one person yet with this approach. Even if the parent would be told through a prophesy that not all his/her children would be saved, the parent might still decide to have children. If some of the children would turn out to be agnostics as adults, it would not be the parent’s fault. Each person must be responsible for his own actions and choices in life. Is. 55:8 For my thoughts are not your thoughts, neither are your ways my ways, saith the Lord. 9 For as the heavens are higher than the earth, so are my ways higher than your ways, and my thoughts than your thoughts. For them this verse means that even if they have no idea how to solve their theological contradictions now, they expect to do so when they get to heaven. A freewiller, however, does not have to wait until heaven before the Bible makes sense, because there are no verses which must be ignored or twisted. Does God give us GRACE and mercy upon certain conditions? The Bible says that God does not want anyone to perish (2 Pet. 3:9), that Jesus has given light to all men (John 1:9) and that we have no excuse for rejecting him (Rom. 1:20-21) since we are created for the precise purpose to seek him and find him (Acts 17:26-27). In this way God shows mercy to all, and Jesus also died for ALL (or else people would definitely perish, which God does not want). Grace, favor, kindness, thanks, pleasure and benefit are some possible translations of the Greek feminine noun χάρις (charis, Strong’s 5485) used 157 times in the KJV, and we also have the Greek neuter noun χάρισμα (charisma, Strong’s 5486) meaning something like a divine favor, used 17 times in the KJV. Ja. 4:6 But he giveth more grace (χάρις). Wherefore he saith, God resisteth the proud, but giveth grace (χάρις) unto the humble. 1 Pet. 5:5 Likewise, ye younger, submit yourselves unto the elder. Yea, all of you be subject one to another, and be clothed with humility: for God resisteth the proud, and giveth grace to the humble. Matt. 7:13 Enter ye in at the strait gate: for wide is the gate, and broad is the way, that leadeth to destruction, and many there be which go in thereat:14 Because strait is the gate, and narrow is the way, which leadeth unto life, and few there be that find it. Ezekiel 18:4 Behold, all souls are mine; as the soul of the father, so also the soul of the son is mine: the soul that sinneth, it shall die.5 But if a man be just, and do that which is lawful and right,— 9 Hath walked in my statutes, and hath kept my judgments, to deal truly; he is just, he shall surely live, saith the Lord God.— 20 The soul that sinneth, it shall die. The son shall not bear the iniquity of the father, neither shall the father bear the iniquity of the son: the righteousness of the righteous shall be upon him, and the wickedness of the wicked shall be upon him.21 But if the wicked will turn from all his sins that he hath committed, and keep all my statutes, and do that which is lawful and right, he shall surely live, he shall not die.22 All his transgressions that he hath committed, they shall not be mentioned unto him: in his righteousness that he hath done he shall live.23 Have I any pleasure at all that the wicked should die? saith the Lord God: and not that he should return from his ways, and live?24 But when the righteous turneth away from his righteousness, and committeth iniquity, and doeth according to all the abominations that the wicked man doeth, shall he live? All his righteousness that he hath done shall not be mentioned: in his trespass that he hath trespassed, and in his sin that he hath sinned, in them shall he die.25 Yet ye say, The way of the Lord is not equal. Hear now, O house of Israel; Is not my way equal? are not your ways unequal?26 When a righteous man turneth away from his righteousness, and committeth iniquity, and dieth in them; for his iniquity that he hath done shall he die.27 Again, when the wicked man turneth away from his wickedness that he hath committed, and doeth that which is lawful and right, he shall save his soul alive.28 Because he considereth, and turneth away from all his transgressions that he hath committed, he shall surely live, he shall not die.29 Yet saith the house of Israel, The way of the Lord is not equal. O house of Israel, are not my ways equal? are not your ways unequal?30 Therefore I will judge you, O house of Israel, every one according to his ways, saith the Lord God. Repent, and turn yourselves from all your transgressions; so iniquity shall not be your ruin.31 Cast away from you all your transgressions, whereby ye have transgressed; and make you a new heart and a new spirit: for why will ye die, O house of Israel?32 For I have no pleasure in the death of him that dieth, saith the Lord God: wherefore turn yourselves, and live ye. 1 Pet. 4:17 For the time is come that judgment must begin at the house of God: and if it first begin at us, what shall the end be of them that obey not the gospel of God?18 And if the righteous scarcely be saved, where shall the ungodly and the sinner appear? In Romans 9 (the Calvinists’ favorite) we can read about God’s mercy, which is a translation from the Greek verb ἐλεέω (eleeō, Strong’s 1653), and the term to have compassion which is a translation from the Greek verb οἰκτίρω (oiktirō, Strong’s 3627). Naturally God can choose to have mercy and compassion to whoever he wants, like those who have repented for their sins and who continue to follow him. You can read more about Rom. 9 in this article and this. Rom. 9:15 For he saith to Moses, I will have mercy on whom I will have mercy, and I will have compassion on whom I will have compassion.—15 For he saith to Moses, I will have mercy on whom I will have mercy, and I will have compassion on whom I will have compassion. 1 John 2:16 For all that is in the world, the lust of the flesh, and the lust of the eyes, and the pride of life, IS NOT OF THE FATHER, but is of the world.17 And the world passeth away, and the lust thereof: but HE THAT DOETH THE WILL OF GOD abideth for ever. Notice that John writes ”he that doeth the will of God abideth for ever”. If all people everywhere and at all times did the will of God, then all people would abide for ever. Clearly all people will not be saved, and that is due to their disobedience – due to acting contrary to God’s will. Ja. 1:13 Let no man say when he is tempted, I am tempted of God: for God cannot be tempted with evil, NEITHER TEMPTETH HE ANY MAN:14 But every man is tempted, when he is drawn away of his own lust, and enticed.15 Then when lust hath conceived, it bringeth forth sin: and sin, when it is finished, bringeth forth death.16 Do not err, my beloved brethren. ”Sovereign” and ”sovereignty” are words not included in the Bible (KJV), which means they must be defined. Free-willers do not have a problem with a sovereign God, but they certainly do not agree with the Calvinistic interpretation of this word. Calvinists normally understand this word to mean something like ”God decrees ALL THINGS at all times, resulting in that every single action taken by man always turns out exactly as God wants. He can do anything at all and nothing is too difficult for him – except from creating man with free will”. Rom. 9:18 Therefore hath he mercy on whom he will have mercy, and whom he will he hardeneth. 19 Thou wilt say then unto me, Why doth he yet find fault? For who hath resisted his will? My comment: Has it ever happened throughout history that someone has found fault in God and his actions? Yes, right? The Bible is replete with examples of people who refuse to obey him, rebel against him and cause him to be angry. So this verse is not what man cannot do but should not do. If God’s will is to offer salvation also for the gentiles (showing mercy also to them) and make faith the condition for salvation rather than being born a Jew under the Mosaic law, then who is able to resist this decision? No one. Who can resist his will? The context and the rest of the Bible render it impossible to interpret Rom. 9:18 as ”Therefore he makes salvation possible for only some individuals, whereas he blocks the rest from ever being able to seek him or find him.” Such an interpretation would make God alone guilty of man’s unbelief, and hell would be a place where innocent and rejected people would end up who had no chance to be saved (since God successfully prevented them from believing in him). Does that sound like the God of the Bible? You can read more about Romans 9 and Pharao’s heart here, here and here. So the order of even is 1) receive and believe in him, and then 2) become children of God. You can read more about Eph. 2 here. My comment: We are totally lost without Jesus who is our Savior, so he is rightfully the author and finisher of our faith. He made the wonderful salvation plan possible for us (he died for us on the cross), and he has promised to never cast us out but rather give us a crown of life if we endure to the end. It is Jesus from start to finish. Hebr. 12:2 should not be interpreted as ”Jesus causes certain people to have faith and is responsible for guarding their faith to the very end, whereas the rest are doomed from birth since Jesus never died for them or enabled them to get saved”. Read more here. Also this passage focuses on God’s mighty power, and that there is no one like him. Knowing things in advance is not the same as predestining things in advance. Calvinists make a hen out of a feather when it comes to the word ”declaring”, as though this would mean that God predestines all things. According to v. 12 there are apparently people who are stouthearted and far from righteous, which is normally something God does not approve of. It is a silly idea that God would predestine people to be stouthearted. ”My councel shall stand, and I will do all my pleasure”. Does this include creating man with free will and making man responsible for his actions, and sometimes even punish man for his sins? Dan. 4:35 And all the inhabitants of the earth are reputed as nothing: and he doeth according to his will in the army of heaven, and among the inhabitants of the earth: and none can stay his hand, or say unto him, What doest thou? Yes God does according to this will, and since he is our Creator and knows best. It would not make sense to argue with him or suggest that he should not have done things the way he did. Unfortunately, people have indeed complained to God and continued to question his motives (and sometimes his mere existence), so this verse is not about what man cannot do but should not do. Could it be God’s will to punish the fallen angels (who acted contrary to his will), and to create man with free will? Or is this outside his capabilities? Job 42:2 I know that thou canst do every thing, and that no thought can be withholden from thee.3 Who is he that hideth counsel without knowledge? therefore have I uttered that I understood not; things too wonderful for me, which I knew not. Comment: The above verses are from KJV, just like the rest of the verses. There are other Bible versions which Calvinists might prefer because of other expressions, but John 42:2 only confirms that God knows everything there is to know. Lam. 3:37 Who is he that saith, and it cometh to pass, when the Lord commandeth it not?38 Out of the mouth of the most High proceedeth not evil and good? Here we read about man complaining about the punishments for his sins (apparently it is possible to complain to God after all), and ”sins” would be activities against God’s will. The advice to ”turn again to the Lord” means that people previously turned their backs on God. The fact that people ”transgressed and have rebelled” yet again means that we are able to act contrary to God’s will. Furthermore, we can read about God being ”angry” and have ”persecuted” people due to their actions (transgressions and rebellion), which is more evidence of man’s free will. Comment: The context concerns Moses’ reluctance to becoming Israel’s leader due to his (Moses) shortcomings in relation to his ability to public speaking. Moses said: ”O my Lord, I am not eloquent, neither heretofore, nor since thou hast spoken unto thy servant: but I am slow of speech, and of a slow tongue.” God can accomplish things despite our shortcomings, and he can even heal people. If he asks us to do something, we can totally trust that he will help us overcome our weaknesses. That seems to be the gist of what God wanted to express when Moses argued against God about his shortcomings. Moses had to be persuaded, and he finally gave in after a conversation with God. God is not suggesting that he is the one who forces people to be deaf, blind, poor, etc, but he rather explains that he is the author of all Creation and he can be trusted. 1 Sam. 2:6 The Lord killeth, and maketh alive: he bringeth down to the grave, and bringeth up.7 The Lord maketh poor, and maketh rich: he bringeth low, and lifteth up. This is a description with poetic expressions describing God’s power and his future judgment of mankind. Depending on how we choose to live our live, based on our situation and opportunities, we will be punished or rewarded. Read what the author says about the poor. Will God always lift up the beggar and set him among princes here on earth? No, this is not a universal promise for the present dimension but for the future. Isaiah 45: 7 I form the light, and create darkness: I make peace, and create evil: I the Lord do all these things. Comment: The above is in the KJV, but in the NKJV and in many other Bible versions it is rather ”calamity” instead of ”evil”. The Hebrew word could mean both, as well as a few other alternatives. God can indeed cause physical calamity just like he did when he caused a global flood to hit the earth. Physical pain or punishments caused by God does not mean that he causes people to sin. There is no darkness in God. 2 Chron. 25:20 But Amaziah would not hear; for it came of God, that he might deliver them into the hand of their enemies, because they sought after the gods of Edom. Comment: Apparently the reason that ”it came of God” that Amaziah would not hear – resulting in that he and his people were delivered into the hand of their enemies – was because they turned to other gods in Edom. There you have the reason. Did God want them to turn to false gods? Hardly. The most important commandment is to have no other gods but God. 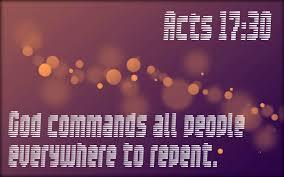 Compare with Romans 1 where we can read about God giving up people to a reprobate mind due to their ungodly attitudes. At one point Amaziah followed the Lord, but he later turned away. Comment: Notice above that that there are people who have not sought God, like heathens or families that did not call on the name of the Lord. Clearly this is not according to God’s will. A man is not supposed to turn his back on God by not seeking his guidance, and walk on his own ways. If a man does not seek God, he will not be guided on the right path. Read more here. 1 Sam. 2:25 If one man sins against another, God will judge him. But if a man sins against the Lord, who will intercede for him?” Nevertheless they did not heed the voice of their father, because the Lord desired to kill them. Comment: According to Adam Clarke the particle ki, translated ”because”, is better translated ”therefore” just like it does in many other parts of the Bible. (Young’s literal translation reads ”though”.) This means that God wanted to kill the individuals in the story due to their refusal to listen to their father’s voice. This is a more logical translation than rendering the passage as though God wants to kill certain people for no reason, and manipulates them into not listening to their father and then proceeds to take this as an excuse for killing them. That would be circular reasoning and would turn God into an unrighteous criminal. Sadly many Calvinists would rather turn God into a monster than letting go with their precious philosophy of Calvinism. Psalm 115:3 But our God is in the heavens: he hath done whatsoever he hath pleased. Psalm 33:10 The Lord bringeth the counsel of the heathen to nought: he maketh the devices of the people of none effect.11 The counsel of the Lord standeth for ever, the thoughts of his heart to all generations. My comment: Psalms often contain poetry which mirrors the reality in many ways, so we must approach the verses with this in mind. Yes, God has always done whatever he has pleases, but naturally this could include creating man with free will. What the context of these psalms has in common is the declaration that God is the great and magnificent Creator, and that false gods (which are no gods) cannot compete with his wonderful powers. Psalm 33:15 says ”He fashioneth their hearts alike; he considereth all their works”, which is a description of how God has originally made man and also judges their work. It does not say that God micromanages every single step that man takes, nor that man does not have a will of his own. If you think ”The Lord bringeth the counsel of the heathen to nought” means that God first manipulates the heathens to come up with various evil schemes, and then turns around and ”heroically” halts these plans that he himself initiated, then you are mistaken. It is just a poetic description of God’s power which the heathens cannot interfere with. The verse does not say that God either prevents people from sinning, or predestines their sin. During Jesus’ second coming, he will only have to breathe on the son of perdition to destroy him completely (2 Thess. 2:8), so the power of God is indeed great. Prov. 16:33 The lot is cast into the lap; but the whole disposing thereof is of the Lord. Prov. 21:1 The king’s heart is in the hand of the Lord, as the rivers of water: he turneth it whithersoever he will. My comment: Also proverbs contains poetry, so we must keep this in mind. Instead of having to ignore loads of verses which show that God is angry with sin and where he desires all men to obey his commandments, it is better to read the more vague proverbs and psalms in context and not superimpose them over clear verses. The first verse just shows God’s right to handle all judgment of mankind, whether people are righteous or unrighteous. Read more about these verses here. Neither of these verses contains promises that God predestines every all things. That would put all the blame on God. If God’s will always happens, then why does the Bible say the opposite? 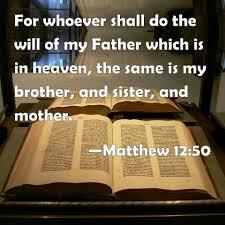 Mark 3:35 For whoever does the will of God, he is my brother and sister and mother. I thought all people did the will of God? Are all people his brothers, sisters and mothers? Matt. 7:21 Not every one that saith unto me, Lord, Lord, shall enter into the kingdom of heaven; but HE THAT DOETH THE WILL OF MY FATHER which is in heaven. ”He that doeth the will of my Father”? If everyone would always do the will of God then everyone would enter the kingdom of God. ”If any man—doeth his will”? Jesus separates those who worship God and obey him (doeth his will) with those who are sinners. This suggests that sinners are not doing the will of God, unless sinning is according to his will. God desires all men to be saved and come to the knowledge of the truth. Has this so far happened? Heb. 3:7 Wherefore (as the Holy Ghost saith, To day if ye will hear his voice,8 Harden not your hearts, as in the provocation, in the day of temptation in the wilderness:9 When your fathers tempted me, proved me, and saw my works forty years.10 Wherefore I was grieved with that generation, and said, They do alway err in their heart; and they have not known my ways.11 So I sware in my wrath, They shall not enter into my rest. )12 Take heed, brethren, lest there be in any of you an evil heart of unbelief, in departing from the living God. Clearly people constantly act against the will of God. Today and in the past. The Bible is replete with verses that show how God is warning, begging, urging, persuading and pleading with people to do his will, and other verses which show his anger, disappointment, sadness, etc, when they do not. Man’s free will choices are very apparent in the Bible, and yet there are christians (like calvinists – if they want to be consistent with their doctrines) who believe that man is not able to act against God’s will at any time. The article would be too long to include all verses which show man’s free will (isn’t that close to 1/3 of the Bible? ), but further down below are a few examples. First a few verses which calvinists often use to support the idea that God’s will (whether people sin or not) always happens. For the most part they try to defend the bible contradictions they themselves produce by suggesting that God has two wills. (Just as though our Lord has conflicting wills, and just as though at least one of them wants man to sin and be evil…). If God’s will always happens – what is SIN? Surely not breaking the God’s commandments which can’t be broken? Rom. 9:19 Thou wilt say then unto me, Why doth he yet find fault? For who hath resisted his will? The topic is God’s prerogative to bring about salvation in any way he wants, and Paul is trying to make the jews understand that they are not saved only because they are born jews – Rom 9:2-9; 24-33. He mentions that he has grief in his heart due to being deeply concerned about his countrymen (something that should not bother him, had he trusted in that God’s will always happens), and that the blood line of Jacob will brought forth the Messiah. He also emphasizes that people are being saved due to God’s mercy – but certainly not unconditionally. God has the right to show mercy on those who choose to believe, and harden those who stubbornly sin like Pharaoh did. (The mere fact that God chooses to harden people shows that their hearts were not fully hardened to start with.) If God decides to arrange his salvation plan in this particular way, there is no way anyone can resist his will because it’s his exclusive right. That is the subject of his ”will” here, and it does not say that God can not change his mind and/or let man’s will happen in other areas. We already know from the Bible that God has changed his mind in numerous occasions due to man’s actions – like in response to man’s repentance. Ps 135:5 For I know that the Lord is great, and that our Lord is above all gods.6 Whatsoever the Lord pleased, that did he in heaven, and in earth, in the seas, and all deep places.7 He causeth the vapours to ascend from the ends of the earth; he maketh lightnings for the rain; he bringeth the wind out of his treasuries.8 Who smote the firstborn of Egypt, both of man and beast. Isaiah is referring to God’s creation in general terms. God may have created everything as he pleased (the foundation), but this does not mean that he programmed human beings to always obey him. A universe that works in that way (filled with programmed robots) would not please him. Above we can read that man can choose to worship false gods and be stubborn-hearted. They are referred to as transgressors. Transgressors of what? Surely the law of God? They are far from being those righteous people who God would have wanted. The horrible events that Isaiah is warning about, are due to man’s actions. Isaiah suggests, that unless the children of the sinful fathers are not killed the same would grow up and act in the very same way as their parents and fill the world with cities (and their wickedness). Who else than a Creator could figure this out with certainty, and who else has the authority to do something about it? Apparently God is not pleased with either the fathers or how the bring up their children. What we can read ”will come to pass” above, is not every single detail under the sun, but those things listed in this context. Same thing here. It’s about showing that God can do anything he wants, and if he has truly decided to bring something about (like the global flood) it will happen. He might also choose to wait with his decisions depending on mans’ actions. The promises in Eph 1-2 are only tied to those who are IN CHRIST, and we are in Christ only if we believe in him – and naturally show our faith with our deeds. As children of God we have been given the holy Spirit and the promise/guarantee that we will enter the kingdom of God because we belong to the body of Christ. However, this promise is still hinged on the condition of faith/loving God. If we no longer believe or bear fruit (see John 15), we are no longer in Christ. If you get a guarantee receipt you need to read the fine print, and you can’t expect to make use of your receipt if you throw it away. God ”works all things according to the counsel of His will”, but this does not mean he has a desire to force salvation on someone, nor save someone who has turned to living in sin. It’s about his marvelous salvation plan, and the wonderful promises to those who are IN CHRIST. ”He that doeth the will of my Father”? Apparently the Father’s will does not always happen, since Jesus seems to separate those who do the will of his Father from those who do not. If everyone would always do the will of God – whether good or bad – then everyone would enter the kingdom of God, according to this verse. ”Whosoever shall do the will of my Father”? If everyone would always do the will of God – whether good or bad – then the same would be Jesus ”brother, and sister, and mother”. (Meaning universalism). ”If any man will do his will?” Apparently Jesus does not believe that everyone always does the will of God. ”If any man—doeth his will”? Again, apparently Jesus does not side with the idea that God’s will always happens. Jesus separates those who worship God and obey him (doeth his will) with those who are SINNERS. This suggests that sinners are not doing the will of God (quite obviously since ”sin” by definition is an action against God’s commandments). ”He that doeth the will of God abideth for ever”? If everyone would always do the will of God, then everyone would abide for ever. Since everyone does not get saved according to the Bible, it shows that some people are not doing the will of God, and God’s will does not always happen. Moreover, the previous verse tells us that ”the lust of the flesh, and the lust of the eyes, and the pride of life, is not of the Father, but is of the world”. No wonder we can read that such things are not of the Father since the things listed are clear sins (of the world). If such worldly things take place, they are obviously against God’s will and ”not of the Father” as John plainly states. Why must we have endurance/patience? What happens if we lack in patience? Would that result in a scenario where we do not always do the will of God? Would we still receive the promise if we failed to show endurance? The author does not seem to think so. Why would he warn us about something that could never take place? Col. 4:12 Epaphras, who is one of you, a servant of Christ, saluteth you, always labouring fervently for you in prayers, that ye may stand perfect and complete in all the will of God. Ok, and what would happen if Epaphras would not labor fervently for the Colossians in prayers with the aim to make them stand complete in the will of God? Would they stand perfect and complete in the will of God regardless of prayers? Why pray if everyone always performs the will of God at all times? ”Ought not” according to whom? God? Why did God call the rich man ”fool”? Surely it would not be foolish to accomplish God’s will perfectly? This parable seems to be there as a warning, but how could this be if it’s not possible to act in the foolish way that is described in the parable? Rom. 12:2 And be not conformed to this world: but be ye transformed by the renewing of your mind, that ye may prove what is that good, and acceptable, and perfect, will of God.3 For I say, through the grace given unto me, to every man that is among you, not to think of himself more highly than he ought to think; but to think soberly, according as God hath dealt to every man the measure of faith. Apparently Paul does not think it’s a good idea to be conformed to this world, and urges us to renew our minds so that we can learn what is the perfect will of God. This means it’s up to us to start this process. Paul continues to tell his readers what they ”ought not”, which suggests that they might act in an opposite way which is not approved by God. Jesus does not suggest that only believers ought to pray, but ”men” (can be translated all mankind, or men and women) should always pray and not lose heart. We know that not all men do this, so God’s will does not always happen. So they were saying things which they ought not, according to Paul? Interesting. More people who are saying things which they ought not. The author of Hebrews clearly does not believe God’s will always happens. Jam. 3:Out of the same mouth proceed blessing and cursing. My brethren, these things ought not to be so. If they ought not to be so, then clearly God’s will does not always happen. ”He who does wrong”? In a world where God’s will always happens? Resisting the Holy Ghost is resisting God. Acts 13:21 And afterward they desired a king: and God gave unto them Saul the son of Cis, a man of the tribe of Benjamin, by the space of forty years.22 And when he had removed him, he raised up unto them David to be their king; to whom also he gave their testimony, and said, I have found David the son of Jesse, a man after mine own heart, which shall fulfil all my will. In 1 Sam. 8 we can read that God did not think it was a good idea to set up a king for Israel at this time. In fact, he thought it was a very bad idea and warned the Israelites against it. When they were still adamant about the project, God gave in to their wishes. Still, God ended up regretting making Saul to be a king (1 Sam. 15:11), and in 1 Sam. 13:14 we can even read the reason; ”thou hast not kept that which the Lord commanded thee”, clearly showing that Saul did not act according to God’s will. King David did so much better as a King, and even though he did accomplish to be a faithful servant who obeyed God during all his life time we still know there was at least one exception in relation to the matter of Uriah and his wife (1 King. 15:5). That ordeal was evil in the eyes of God (2 Sam. 12:9) and therefore against his will. More stiff-necked people who refuse to do God’s will, and God is unsure if they will ”hearken” to him. Ez. 16:26 Thou hast also committed fornication with the Egyptians thy neighbours, great of flesh; and hast increased thy whoredoms, to provoke me to anger.27 Behold, therefore I have stretched out my hand over thee, and have diminished thine ordinary food, and delivered thee unto the will of them that hate thee, the daughters of the Philistines, which are ashamed of thy lewd way. Why would God be angry at fornication and whoredoms if his will always come to pass? And why does God, due to man’s actions (Israel), deliver them ”unto the will” of their enemy? Why would he separate the will of Israel’s enemy with his own will, as though they would not be one and the same? This procedure certainly sounds like a punishment against Israel for the only reason that they did not obey God. Why does God exclaim ”Oh, that you had heeded my commandments”? Why all the ”would have been”, had his people obeyed him? Ps. 143:10 Teach me to do thy will; for thou art my God: thy spirit is good; lead me into the land of uprightness. Why this urgent need? Does not God’s will happen if David is not sufficiently taught to do his will? Lev. 4:22 When a ruler hath sinned, and done somewhat through ignorance against any of the commandments of the Lord his God concerning things which should not be done, and is guilty;23 Or if his sin, wherein he hath sinned, come to his knowledge; he shall bring his offering, a kid of the goats, a male without blemish:— .27 And if any one of the common people sin through ignorance, while he doeth somewhat against any of the commandments of the Lord concerning things which ought not to be done, and be guilty;28 Or if his sin, which he hath sinned, come to his knowledge: then he shall bring his offering, a kid of the goats, a female without blemish, for his sin which he hath sinned. ”Things which ought not to be done”? I did not think that was possible in a world where God’s will always happens? ”Because ye would not be obedient…” That is the reason for perishing. Jer. 32:35 And they built the high places of Baal, which are in the valley of the son of Hinnom, to cause their sons and their daughters to pass through the fire unto Molech; which I commanded them not, neither came it into my mind, that they should do this abomination, to cause Judah to sin. Those couple of verses speak for themselves. People sinned severely and caused others to sin, which naturally didn’t even enter God’s mind that they would do. Throwing children in the fire as an offering to Baal is naturally an abomination and why would God force people to commit such a horrible sin? Jer. 26:13 Therefore now amend your ways and your doings, and obey the voice of the Lord your God; and the Lord will repent him of the evil that he hath pronounced against you. Ez. 33:11 Say unto them, As I live, saith the Lord God, I have no pleasure in the death of the wicked; but that the wicked turn from his way and live: turn ye, turn ye from your evil ways; for why will ye die, O house of Israel? If God’s will always happens, he would not be dependent on man’s actions. We are asked to not use our freedom as a covering for evil. Peter does not believe God’s will automatically takes place. But surely doing evil would be equally acceptable if all things happen according to the will of God?